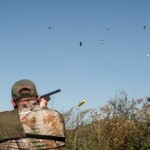 Forget what you’ve heard about dove hunting in Mexico, or what you used to hear about the doves in Colombia. 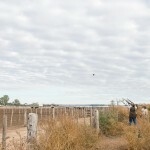 Simply put, the dove hunting available in our part of Córdoba is, on its worst day, amazing, and more typically is beyond comparison with any other dove hunting resource around the globe. 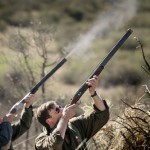 Córdoba is considered the Dove Hunting Capital of the World for good reason. 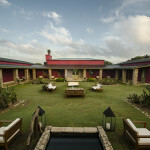 More than 50 million non-migratory doves inhabit the area around our lodge. Furthermore, these 50 million birds reproduce at an average rate of five times a year. So that is the dove resource we have available. To utilize this staggering resource, the lodge has 55 hunting locations located within a short drive through the region’s rolling farmland. Some locations are field edges, some are dry creek bottoms, and others are the edges of wood lots or hill country with high brush. Each offers a different hunting challenge, and we have the ability to dial up or dial down the difficulty of the hunting within each location. 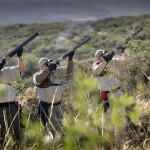 The daily hunting program generally starts at 8 a.m., with a hearty breakfast and a short drive to the shoot. In the field you will be assigned a pick-up boy, who provides you with shells and refreshments and directs you to your hunting stand. Once you are placed and ready, hunting begins, and either one or two full-time bird boys will assist you. 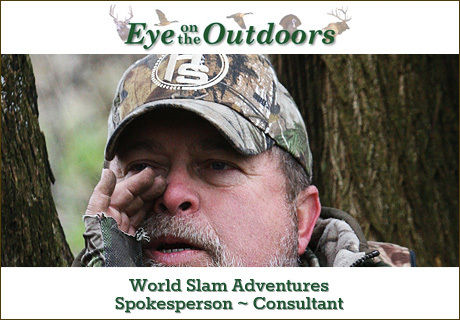 Additionally, our head guide will also be available to assist or provide tips on your hunting if desired. 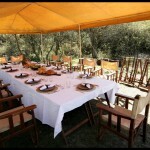 Depending on the time of the year, you will hunt till noon, when you’ll be treated to an incredible Asado-style lunch, served in the shade of a comfortable safari tent, featuring Argentina’s wonderful beef and superb wines. 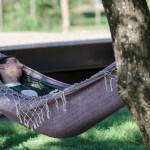 Many shooters like to enjoy a nap after lunch, with afternoon hunting sessions beginning at around 2 or 2:30, and continuing until late in the day. There is no required quitting time, good sense and tired shooters dictate when the day is through. 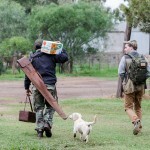 After hunting there is time for showers and cocktails at the lodge prior to dinner. Each day the lodge donates hundreds of doves to a local food kitchen that serves the area’s needy children. 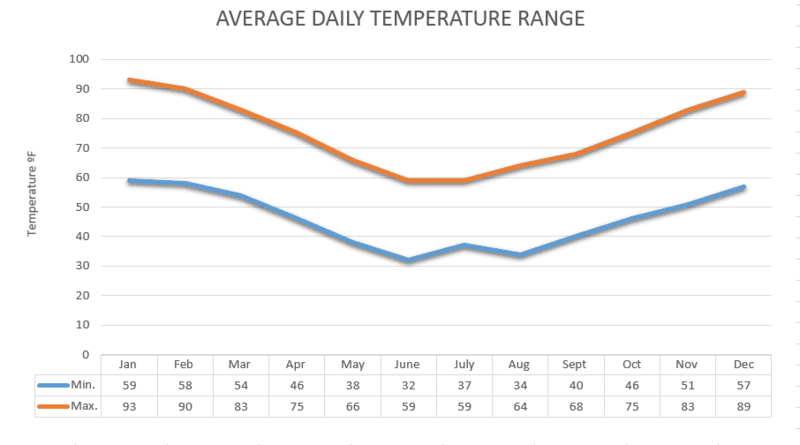 Weather: This season includes the end of winter, the entire spring, and part of our summer—almost half our year. For the end of winter and most of spring we experience mild temps and blue skies carrying easterly winds. During our mid-winter and early spring we can find challenging birds due to a combination of deep valleys and wind, especially in August. The tail end of this block is our summer, when we can experience tropical showers late in the day with a predominantly northerly wind. Temperatures: 65-95F. Doves: We can present every bird in the book during this broad time of year, from sky-scraping high doves to low and slow birds perfect for beginners—and all flying at every possible angle. We’re situated in the hills daily at this time of year, changing hunting scenarios every hunt, and we can use our location to our advantage to produce just about any hunt a client or a group might prefer. We can also “duplicate” every game bird shot in the book—from high pheasants, crossing ducks, or incoming grouse. 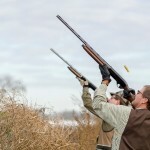 If hunters want low birds we hunt the ridges; and if they want high doves we go deep into the valleys. We also hunt an array of local farms, which provide a nice variation from day to day. 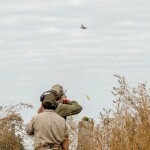 Also, hunting with double guns can be offered, our professional field assistants can stuff or double gun every day. Driving distances from Pica Zuro range 15 to 35 minutes. La Dormida is about 25 minutes. Córdoba Lodge is about 15 to 25 minutes. Weather: Sunny and dry, with occasional light showers. Doves: A combination of the hills and flat hunting, with the best hunts occurring early in the morning and after 3 p.m. until sunset at 8 pm. Much like our June/July hunting, but with the benefit of longer days and warmer temperatures. This season is short because the doves will stop hatching due to lack of food and start holding in temporary roosts in the flats close to the production areas. As David Denies is the only outfitter holding 250.000+ acres of land, we can still guarantee incredible customized hunting while other outfitters close their doors during this time. This is the opposite movement from our June/July hunt in that we are now moving from the hills back to the flats; two great hunts per day, often with a long lunch and time for a nap at midday. Beautiful, warm weather. Driving distance from Pica Zuro varies from 10 to 45 minutes. La Dormida averages 25 to 35 minutes. Córdoba Lodge from 20 to 30 minutes. Weather: this is our autumn, and while we can have some rain in March, April, and early May it’s rarely more than a day or two of rain per month. Then our dry season begins. Doves: During “The Flatlands” period we find a high concentration of low-flying birds feeding or in temporary roosts. We can see high birds depending on the wind and how far we’re located from the feeding or roosting areas. The main reason the birds fly this way at this time of year is because they’re following combines that are harvesting sorghum, soy bean, and corn. During this time of year we also shoot feedlots and water holes where the birds gather to eat and drink. Driving distances from Pica Zuro are from 25 minutes up to 1 hour. From La Dormida, about 15 to 45 minutes. From Córdoba Lodge, about 20 to 30 minutes. Weather: Cold in the morning, comfortable in the evening; blue skies every day with a predominant south wind. Doves: A combination of low and high-flying birds depending on where we find the better hunting conditions (flatlands or hills) or both. One day we can be hunting in the flats; the following day in the hills. This time of year is what we call our winter transition, and it only lasts a month. We continue to hunt the flats and we start hunting the hills as well, depending on the flight pattern of the doves from day to day. Driving distances from Pica Zuro will be 15 to 45 minutes, unless we are lucky enough to be able to use the field right next to Pica Zuro which is only 5 minutes away. It can be “red hot” at times and makes for a nice bonus. Driving distance from La Dormida is 20 minutes to 45 minutes. Córdoba Lodge, 20 to 35 minutes. 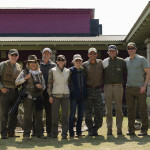 La Dormida Lodge accommodates 10 dove hunters or, depending on the configuration of the group, 12 total people. 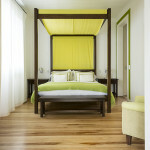 We have 4 single rooms, each with a large (queen) bed and 3 double rooms, with two beds in each. 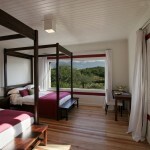 All rooms have private en-suite bathrooms. 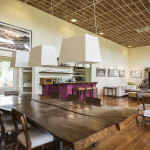 In addition, La Dormida offers a large, open dining room, a sitting room and bar, and sprawling courtyards with a fire pit and pool. 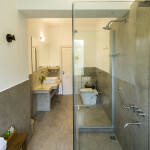 We also have many of the important necessities and some extras that you may or may not expect to find in a shooting lodge, including; a recreation room, gun cleaning table and facilities, telephone, Internet access (WIFI), laundry service, and a masseuse. Our gift shop offers local artwork and crafts, logo wear, and shooting accessories. 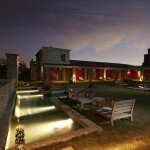 We can arrange historic tours, shopping trips, and horseback riding excursions. At La Dormida, we take your dining experiences seriously, and we strive to make every meal as wonderful as every trip to the field. 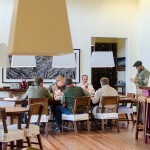 We offer à la carte dining to our shooting guests. 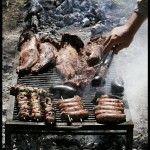 Our kitchens come to life through the use of fresh and regionally representative meats and produce. By combining these elements, we create delicious flavors and varied textures that harbor hidden stories and package traditions on each plate. A top-notch team of experienced national and international chefs, trained in both classic and avant-garde culinary techniques, execute our food. 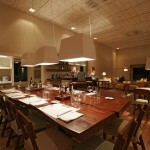 With an artisan’s touch, chefs prepare every dish by scratch to be served at a minute’s notice. Days start with a hearty breakfast composed of a variety of homemade breads, jam, meadow honey, fresh fruit, natural yoghurts, cereals and eggs prepared any one of six ways, including porridge, French toast and the daily special. 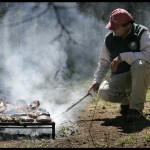 Our legendary field lunches at Cordoba are all about asado-style cooking. 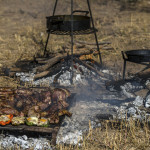 Lunch is served al’ fresco in the hunting area each day featuring a variety of choice meats and salads, grilled dove breasts, short ribs, plus lamb, grilled chicken, etc. Bread comes from our own bakery. Beverages and delicious deserts are included. The evening meal is a celebration of fine dining in a casual setting, and it is a chance for our house chefs to really shine. Again, options are a la carte, so if you are enjoying our famous beef and wish to enjoy a steak each evening, we’ll happily grill one to order, but if you’d dare be a bit more adventurous and wish to try Risotto with calamari ink, or grilled trout with tomato puree, then we’d encourage you to sample our specialty dishes. Finally, there are the desserts. Each day brings a new creation, from flan to our local delight, dulce de leche, plus fruit, homemade ice creams, and pies. Our lunch and dinner menus are paired with some of Argentina’s—and the world’s—best wines from Bodega Catena Zapata. We feel that the food we present and the wines we serve should mirror the sporting opportunities we offer—and be the very best available. Boasting accolades from the wine community at large, a Bodega Catena Zapata wine recently received a “number four in the world” icon ranking from Wine Advocate. These are truly great wines that hold a special place in our culture and we are proud to serve them to you. 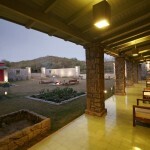 Rates at La Dormida Lodge range between $595 and $830 per shooter, per night. These rates are flexible based upon time of year, number of hunters in the group, and lodge availability—please contact us for an accurate quote. Tours, shopping trips, horseback riding, etc. 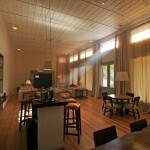 Buenos Aires transfers and hotels.